Piano Removals & Disposal Adelaide | 1800-GOT-JUNK? Pianos are heavy and bulky, and when they go unused, they can be a tremendous inconvenience to have around. Whether the piano in your home has been in your family for generations or you'd gotten it assuming that you'd pick it up as a hobby, sometimes, that old piano just needs to go. Unfortunately, you've probably discovered that getting rid of an unwanted piano can be far from easy. Even a small upright piano can weigh 400 pounds, and larger grand pianos can weigh up to 1,200 pounds. Piano movers are available, but it's difficult to find someone who can move your piano out of your home and ensure that it is disposed of in a way that is socially and environmentally responsible. At 1-800-GOT-JUNK?, we're happy to help. Our experienced Adelaide piano removal experts will meet you right at your home, storage unit, or wherever your old piano is. No need to risk injury to yourself or damage to your property by moving the piano out of your home yourself; we'll take care of the entire job for you. In many instances, we're able to provide pickup on the very same day that you request service. To set up your two-hour booking window, get in touch with 1-800-GOT-JUNK? and speak to one of our junk removal experts, or use our real-time online booking tool to choose a pickup time that will best suit your busy schedule. 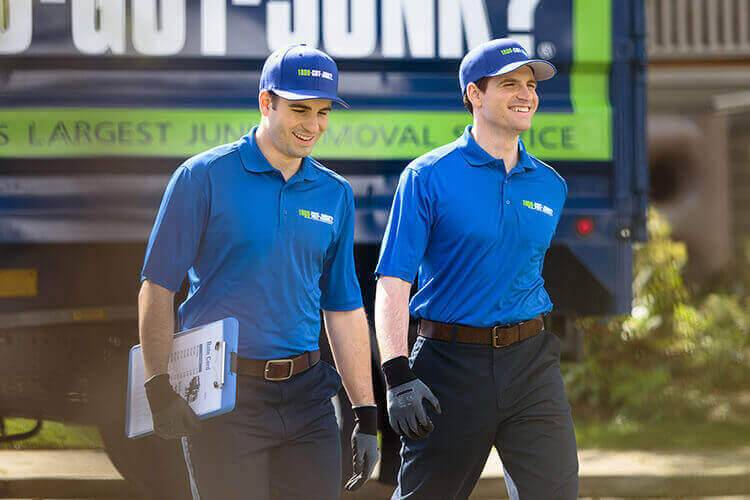 Our junk removal experts will meet you at your property, provide a free, all-inclusive, no-obligation price quote, and then remove your old piano safely and efficiently. While it's true that pianos are often easy to sell or give away, sometimes, there is no other option but to dispose of it. At 1-800-GOT-JUNK?, we understand that even if a piano is unwanted, it will still be highly valuable to someone, which is why we never take old pianos to the landfill. We use our local connections to ensure that your piano has a long life with someone who will appreciate it, long after it leaves your home. When you're ready to free up space in your home by getting rid of that old piano that's only collecting dust, give us a call or find us online. We're happy to help, so get in touch with us today and show us what we're up against!